President Obama signed the Affordable Care Act into law in March 2010. Most of its provisions were delayed until at least 2014, but some parts of the law began to take effect in the first few months after the legislation was enacted. As soon as the ACA was signed into law, the Department of Health and Human Services (HHS), began publishing regulations to implement provisions in the legislation consistent with the required time lines. One of the significant provisions in the health reform law that was implemented in 2010 was an extension of dependent coverage to assure that all young adults have affordable health insurance. Although this provision was scheduled to start on September 23, 2010, the then-Secretary of HHS, Kathleen Sebelius, obtained a commitment from the country’s largest health insurance companies to start implementation of dependent coverage in May 2010. This allowed many students graduating from college in late spring to avoid a gap in coverage. Why Was Extended Dependent Coverage Needed? Before the passage of the Affordable Care Act, many insurance companies dropped young adults from their parents’ health plans because of their age and/or the fact that the young adult no longer met the IRS definition of a dependent—generally as soon as the young adult was no longer a full-time student. This left many college graduates and other young adults with no health insurance. Pre-ACA, young adults had the highest rate of uninsured of any age group. About 30% of young adults were uninsured – a rate that was higher than any other age group. Young adults have the lowest rate of access to employer-based insurance. Because young adults are new to the job market, they often have "entry-level jobs, part-time jobs, or jobs in small businesses that typically do not provide health insurance." This continues to be the case several years later, but access to parental health insurance has helped to bridge the gap. Young adults’ health and finances were at risk. Although many young adults (and others) don’t think they need health insurance, they are, to quote Secretary Sebelius, “one step away from an accident or catastrophic event.” In fact, one in six young adults has a chronic illness like cancer, diabetes or asthma and prior to the ACA, almost half of uninsured young adults reported having difficulty paying their medical bills prior to the ACA. How Did Health Reform Provide Relief for Young Adults? The Affordable Care Act requires health plans that offer coverage to dependent children on their parents’ plan to make that coverage available until the adult child reaches the age of 26, regardless of whether the young adult is still considered a dependent for tax purposes. Health plans that offer dependent coverage must offer health insurance to enrollees’ adult children until age 26, even if the adult children no longer live with their parents, are not dependents on their parent’s tax return, or are no longer students. This rule applies to both married and unmarried children, although the plan does not have to extend coverage to their spouses and children. And it also applies in both the individual and group health insurance markets: It doesn't matter if the parents get health insurance via an employer or purchase it on their own, their young adult children can be covered on the plan as long as the plan extends coverage to any dependent children. 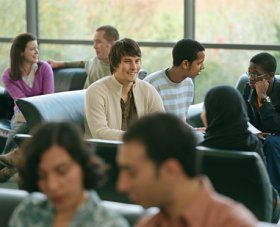 The requirement that young adults be allowed to remain on their parents' plans until age 26 applied to plan/policy years beginning on or after September 23, 2010. Many insurers implemented the provision earlier, but they all had to do so by their first renewal after September 23, 2010. And all plans had to implement a special enrollment period—lasting at least 30 days—during which young adults who were not already on their parents' coverage were given an opportunity to be added to the plan. This enrollment period was available regardless of whether it coincided with the plan's regular open enrollment period. It was available to young adults who had previously aged off of their parents' plans, as well as young adults who had opted not to be covered on their parents' plan for other reasons. Since then, young adults have been able to remain on their parents' plans until age 26, but have only been able to rejoin their parents' plans during regular annual open enrollment periods, or during a special enrollment period triggered by a qualifying event—young adults cannot simply join a parent's health plan whenever they like. Health insurance plans that provide dependent coverage must offer an eligible young adult the same benefits that are available to similar individuals who did not lose health coverage because their dependent status ended. Additionally, the health plan cannot require the young adult to pay more for health coverage than other same-age dependents. But in the individual and small group markets, the ACA sets age ratings that increase at age 21, so a young adult over age 21 will cost more in premiums than a younger child. One of the sometimes unnoticed benefits of employer-sponsored health insurance is that the value of the coverage is excluded from the employee's income. If your health insurance costs $15,000 for the year (paid partly by you and partly by your employer), you don't pay tax on that $15,000. This is in contrast to people who buy their own health insurance, who face much more convoluted rules in terms of the tax-deductibility of their health insurance. Under the Affordable Care Act, this benefit is extended to young adult children up to age 26. If employees choose to cover their young adult children until age 26, the value of the employer-provided health insurance for the young adult is excluded from the employee’s income. This benefit continues until the end of the taxable year in which the young adult turns 26 (some employers choose to let young adult children remain on the plan until the end of the year in which they turn 26, rather than dropping them from the plan as soon as they turn 26). The tax benefit went into effect on March 30, 2010, making it immediately available when the ACA was enacted. The tax benefit also applies to people who qualify for the self-employed health insurance deduction on their federal income tax return. Health insurance isn't always tax-deductible, but self-employed individuals can deduct their premiums without having to itemize deductions. In that case, they're allowed to deduct the premiums for young adult children who remain on their plan until age 26. 6.1 million young adults (ages 19 to 25) had gained coverage under the ACA by early 2016. More than half of them gained coverage since the exchanges, premium subsidies, and Medicaid expansion became effective in 2014. But 2.3 million young adults gained coverage between 2010 and 2013, as a result of the ACA provision that allowed them to remain on a parent's health insurance plan until age 26. And although the Trump Administration and Republican lawmakers have pushed for repeal of the ACA, the provision allowing young adults to remain on their parents' health plans has bipartisan support and is likely to remain in place going forward, regardless of whether there are any additional changes to the ACA (as of late 2018, the only significant legislative change has been repeal of the individual mandate, effective as of 2019; the rest of the ACA remains largely intact, and that's likely to continue to be the case with the new Democratic majority in the House starting in 2019). CalCPA Health. Understanding Premium Rating Under the Affordable Care Act. December 1, 2015. CMS.gov. Center for Consumer Information and Insurance Oversight. Young Adults and the Affordable Care Act: Protecting Young Adults and Eliminating Burdens on Families and Businesses . HHS.gov. 20 million people have gained health insurance coverage because of the Affordable Care Act, new estimates show. March 3, 2016.